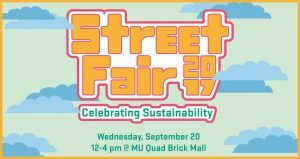 Join Campus Recycling, the Student Sustainability Initiative, the Sustainability Office and others today at the Street Fair: Celebrating Sustainability. Our annual event this time takes place in the Brick Mall just north of the SEC Plaza. Take a stroll through the Fair and celebrate sustainability with us between 12 and 4pm. 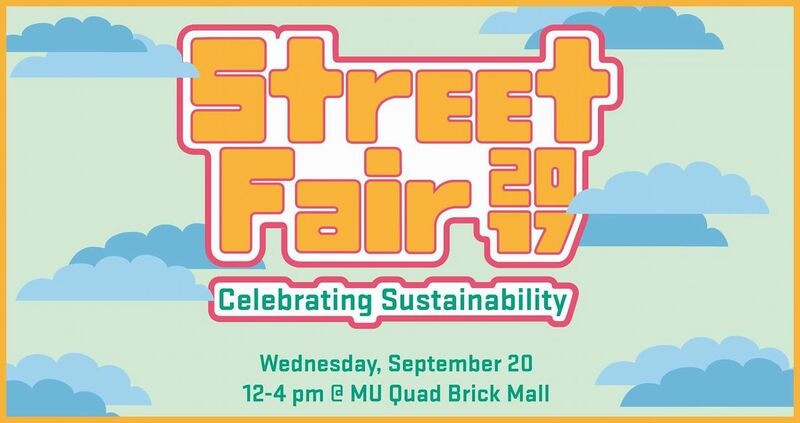 Come meet your local and campus sustainability organizations and enjoy outdoor activities, a collaborative art project and yoga next to the Beaver Community Fair on the Brick Mall east of the M.U. Quad. Learn more and join our Facebook event!